Board certified adoption attorneys Michael A. Shorstein and Brian T. Kelly have helped more than 2,500 birth parents and adoptive families experience the gift of adoption since 1992. Today we remain as focused on adoptions as when we first opened our practice. Brian practices all kinds of adoption law, including Florida and interstate, identified, stepparent, grandparent, relative and adult adoptions. A member of the Florida Bar since 1983, he also is a member of the prestigious American Academy of Adoption Attorneys and is AV-rated by Martindale-Hubbell, meaning he’s rated at the highest level of professional excellence by his peers. After graduating from the University of North Florida with a degree in Education, Brian received his law degree from the University of Florida. He regularly attends adoption seminars to share his knowledge and expertise and to remain current on the many changes in adoption law. He has vast trial experience and has successfully litigated many contested adoptions, representing adoptive parents exclusively. He’s an avid golfer and loves to play his guitar. Brian and his wife, Kim, have three children, Lindsey, Palmer and Peyton. 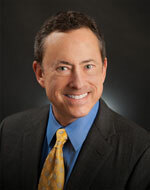 Michael has practiced exclusively in the area of adoption law since 1990. He specializes in all aspects of domestic adoptions including interstate, identified, stepparent, grandparent, relative and adult adoptions. He’s an active member of the prestigious American Academy of Adoption Attorneys, and is AV-rated by Martindale-Hubbell, meaning he’s rated at the highest level of professional excellence by his peers. After graduating from the University of Florida with a degree in accounting, Michael received his law degree from Florida State University. He taught adoption law at one of Jacksonville’s local law schools. He regularly attends adoption seminars to share his knowledge and experience and to remain current on the many changes in adoption law and practice. 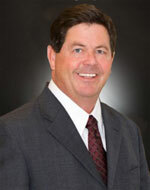 Michael has conducted adoption seminars and presentations for hospitals, agencies and many other organizations. He and his wife, Robin, have two children, Mathew and Benay.